Considering the relatively exotic nature of "Tiberius", is there a story behind James T. Kirk's middle name? Do we perhaps know what the professions of his parents were? Tiberius was the first name of Kirk's Grandfather. George Kirk: What are we gonna call him? Winona Kirk: We can name him after your father. George Kirk: Tiberius, you kiddin' me? No, that's the worst. Let's name him after your dad. Let's call him Jim. Winona Kirk: Jim. Okay, Jim it is. It is mentioned in the novel of the film Star Trek The Motion Picture. My name is James Tiberius Kirk. Kirk because my father and his male forebears followed the old custom of passing along a family identity name. I received James because it was both the name of my father’s beloved brother as well as that of my mother’s first love instructor. Tiberius, as I am forever tired of explaining, was the Roman emperor whose life for some unfathomable reason fascinated my grandfather Samuel. It was because of his grandfather's interest in Roman Emperors. Roddenberry must have liked the name. Just before Star Trek he produced The Lieutenant, a cold war drama set at Camp Pendleton. 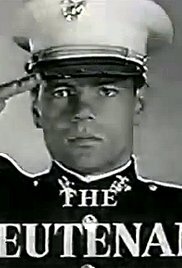 The title character, played by Gary Lockwood, was Lt. William T. Rice. The T stands for - you guessed it - Tiberius! Why was the character of Captain Kirk given the middle name “Tiberius”? According to canon, what is the primary style of hand to hand combat utilized by Kirk in Star Trek TOS? What is the origin of “Desilijic”, Jabba's clan name? Why did Spock Prime suggest Kirk take command of the USS Enterprise from young Spock?